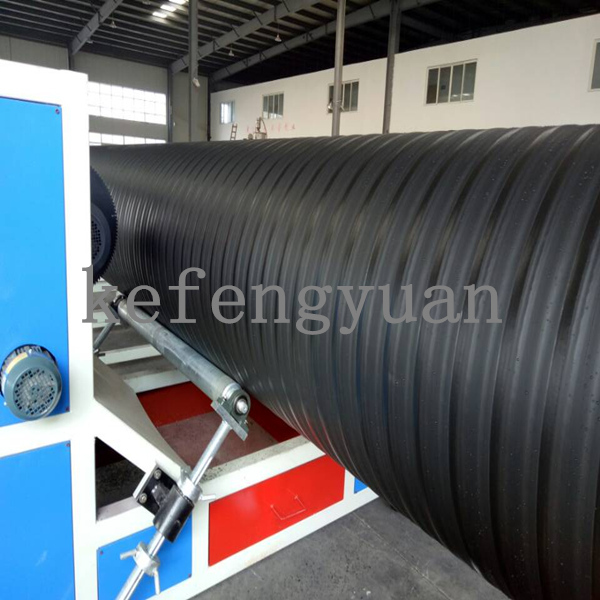 The HDPE large diameter hollow wall winding pipe machine is designed with advantaged technology and improved based on long time practice experience. Diameter range can be 200-3000mm. 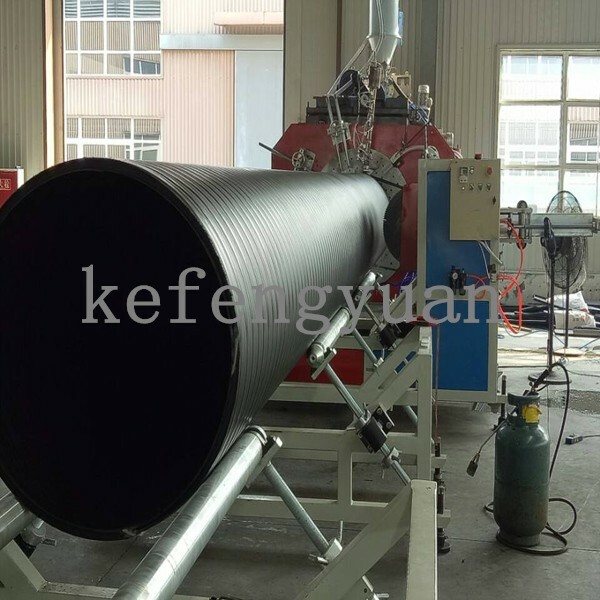 The steel reinforced hollow wall winding pipe machine is featured with comfortable operation and high performance/price ratio. Due to our special design, it is very convenient in transportation and installment. 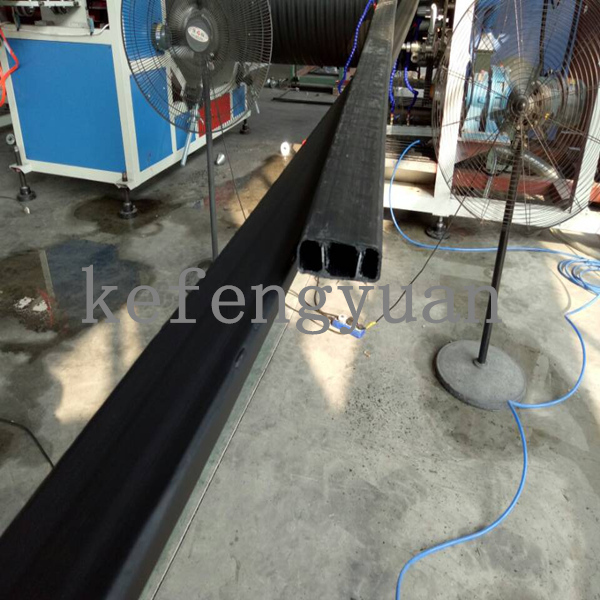 We also developped energy saving method to save energy consumption in large diameter hollow wall winding pipe extrusion. 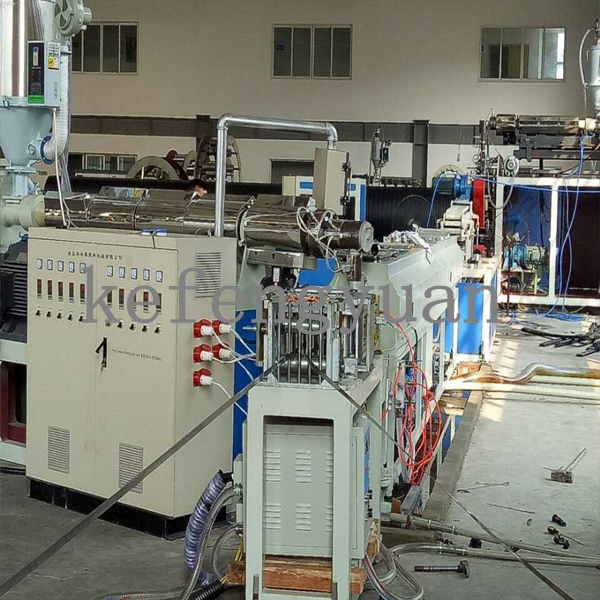 By adopting two sets of high efficient extruders, the output capacity is big. 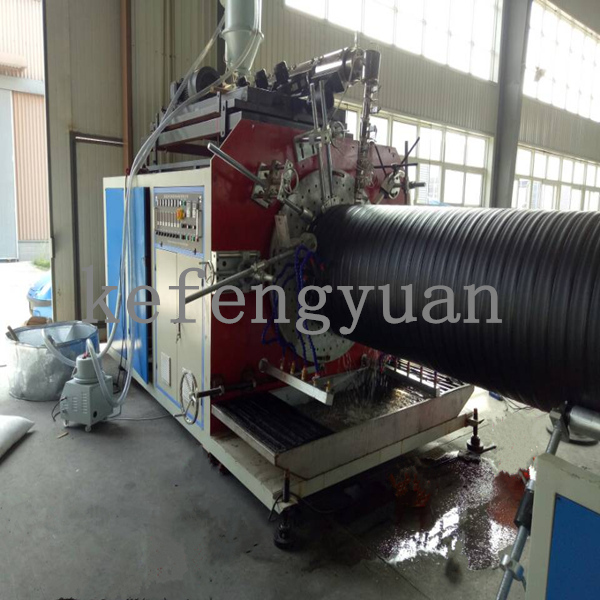 Our winding pipe machine can make pipe with ring stiffness 4, 8, 12KN/m2. 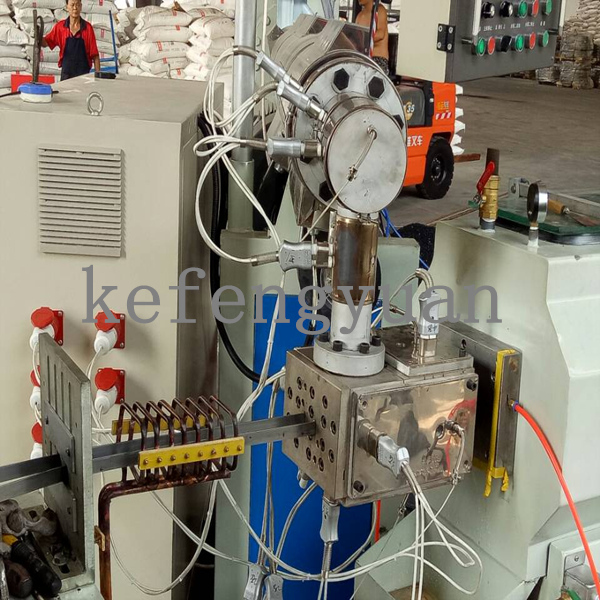 All parts precisely designed and manufactured so the whole extrusion line works stably and reliably. Special design for easy maintenance.